Low sodium dog food is a practical option for dogs in some cases. Similar to several other elements of your dog’s daily diet, a useful amount of sodium is essential for life, but in excessive quantities, it can be toxic. Dogs are likely to take in more sodium than actually needed, and they have multiple ways to naturally pass the excess sodium (such as increased water consumption and urination). However, there are certain dogs that will benefit from being fed a low sodium diet. A typical health complaint related to excess sodium intake relates to congestive heart failure, while certain kidney and liver issues can also be a deciding factor. A dog with congestive heart failure will experience issues with fluid build up which is made worse when the body already has a high amount of salt in place. By naturally lowering the level of sodium in the system, this will help to relieve some of the pressure on the organs to give a great all-round boost to the health. 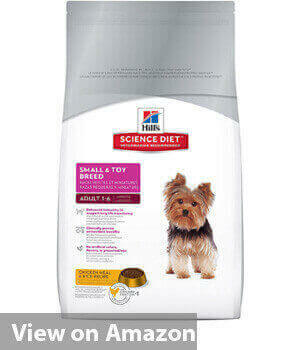 The Hill’s Science Diet Small & Toy Breed Dry Dog Food is intentionally made with small sized kibble to make it easy to eat for small breeds with tmaller mouths. 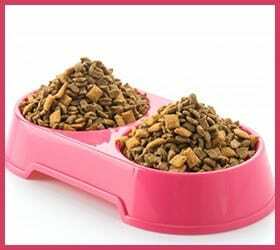 It has a healthy mix of ingredients that are easy-to-digest and precisely balanced to give a delightful taste for your dog. Each pack of this dry food is packed with a decent volume of calcium and protein to give the proper support to bones and muscles. The complex mix of vitamins C and E with antioxidants helps to promote the strong and effective immune system. Plus, the vitamin E and omega-6 fatty acids content are appreciated for giving the healthy skin and shiny coat. 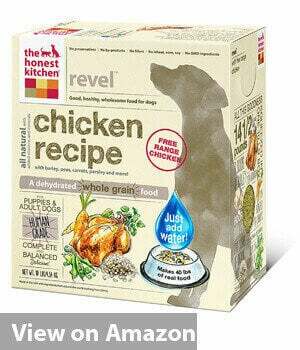 The high-quality Honest Kitchen Revel is a type of dehydrated dog food that is perfectly balanced for all dog breeds at any life stage. The high fat and protein content in this organic grain dog food make it a welcome choice for both active adult dogs and lively puppies. The high brand ingredients and hearty recipe have the ability to deliver 100% human-grade food that is entirely free of undesirable elements like wheat, beet pulp, rice, soy, and corn. Plus, it is quick and easy to prepare for your hungry dog. Simply add the right volume of warm water and wait three minutes for the healthy and delicious meal. Easy to use and prepare for the dehydrated formula that is ready to serve in a matter of minutes. 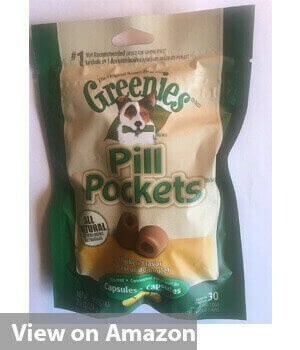 The Greenies Pill Pockets are a simple 100% natural, tasty treat with a useful built-in pocket that is perfect for hiding liquid medication, capsules or tablets. The delightful taste of these low sodium dog treats means your dog isn’t likely to even notice the medicine is hidden inside. The pill pockets are made with all-natural ingredient with low-sodium, less fat and fewer calories than common human foods like tuna and cheese. Plus, this useful dog food with low sodium contains a useful amount of vitamins C and E for proper support of the immune system. A further practical feature is the ability to fully mask any taste or smell of the medicine to put less stress on the dog and make it easy for their owners. 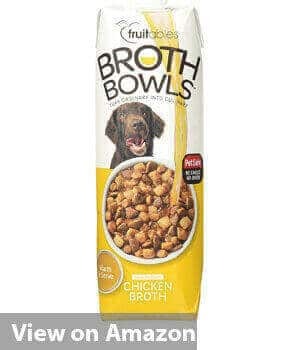 The Fruitables Broth Bowls are a great addition to the dog’s day-to-day food to give a little extra boost with a delightful homemade stock with a rich and savory flavor. Use this low-sodium dog food, in addition, to turn the once boring food into something that is more of delight and gives the proper hydration and digestion support. Plus, this food topper is very low in calories with a mere 2 calories per ounce serving. This makes it a practical choice for raw, canned or dry foods. A further great quality is the ability to encourage your dog to lick their food and stop any previous gulping action which is less desirable for the digestive system. I will also give a taste of homemade low sodium dog food. The BLUE Life Protection Formula for adult dogs is specially formulated to promote the all-round well-being of the small breed adult dogs. It is packed with only the healthiest natural ingredients such as the de-boned chicken that is not only protein rich, but also delicious. Other healthy ingredients include fruit, garden vegetables, and whole grains. This adult dog food is entirely free of artificial preservatives, flavors, and colors, as well as undesirable elements like soy, wheat, corn and by-products. Also, to comply with the needs of the small dog breeds, this food has a useful amount of carbohydrates and protein to match the high energy needs. Made with high-quality and delicious ingredients such as de-boned chicken, vegetables, and fruit. The L.I.D – Limited Ingredient Diets dog food is rich in premium-quality carbohydrate and protein sources to give a great alternative to typical dog food. The healthy ingredients are useful for promoting the luxurious coat, healthy skin and great digestive health. 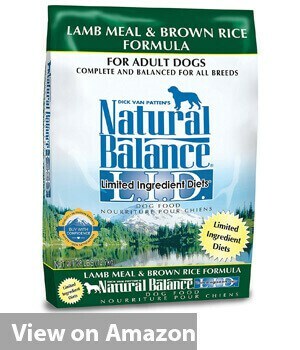 This dog food is specially made with a limited number of ingredients for better all-round health. For instance, in the lamb meal, the meat is the sole source of protein. Also, other active ingredients include canola oil to provide a reliable source of omega-3 and omega-6 fatty acids. This premium food is perfect for puppies and adults at any age and certain to appeal to the energetic dogs. 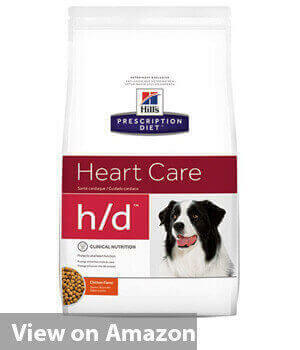 The Hill’s Prescription Diet h/d Cardiac Health Dry food is purposely made with a low volume of sodium to help the aging dogs and avoid issues related to high blood pressure. This low sodium dry dog food is rich in taurine to help promote the right cardiac muscle metabolism. Other healthful ingredients include L-carnitine for the better heart function, while the higher levels of magnesium and B vitamins are useful for replenishing nutrients lost when diuretics are received. Use this dry dog food to promote the all-round health of your aging four-legged friend. 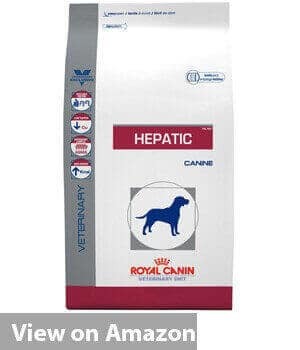 The ROYAL CANIN Canine Hepatic Dry is a practical choice for dog’s experiencing liver related health complaints. If the dog’s liver is compromised, there is a high risk that the entire body will be suffering. So, it is important to check whether the low sodium in dogs or not. For this reason, the canine hepatic is a type of low sodium dog food that gives the desired support to promote better health for the liver and health in general. 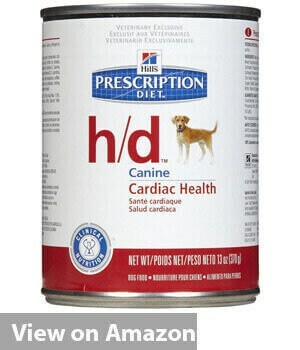 The Hill’s Prescription Diet h/d Cardiac Health Dog Food is a special type of dog food that helps promote better blood pressure. 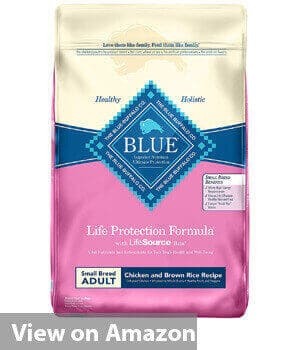 This low sodium wet dog food is perfect for the aging dog while the taurine content is highly effective at supporting cardiac muscle metabolism. Also, this healthy food is rich in L-carnitine, which is an essential component to help promote the all-round health of the heart. And the magnesium and B vitamins are useful for replacing nutrients lost in the process of receiving diuretics. The Royal Canin Veterinary Diet Canine Hepatic LS is a dry type of dog food that is easily digestible and highly palatable. It is purposely made to help dog’s suffering from liver disease and is formulated to be low in copper content. The active ingredients in this food include the restricted copper, increased zinc, high level of dietary fiber, and high-quality protein sourced from vegetables. Plus, this food is a rich and reliable source of antioxidants. If your dog is suffering from poor health, such as issued related to heart disease, it is essential that the dry or wet food is chosen is high-quality and can benefit that actual health complaint. In the event of a serious health issue like this, it is encouraged to look at one of the low sodium canned dog food options. In truth, there are plenty of commercial-grade dog foods that are low in salt and give the desired protein, but it can be difficult to know which is the best simply for reading the labels. Once you are able to determine the best low sodium dog food from the list of low sodium dog foods to promote your pet’s health, you will be in a position to improve their quality of life and longevity.